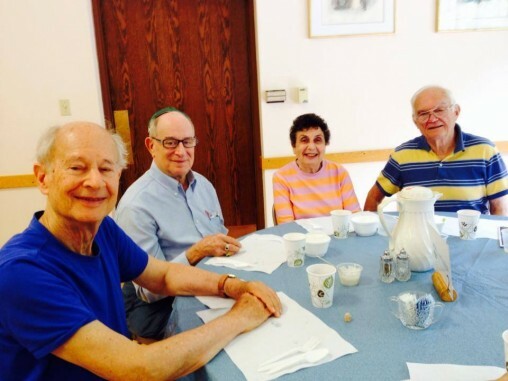 The Federation's Kosher Lunch program provides nutritious meals, social companionship and educational stimulation to over 300 seniors each year. 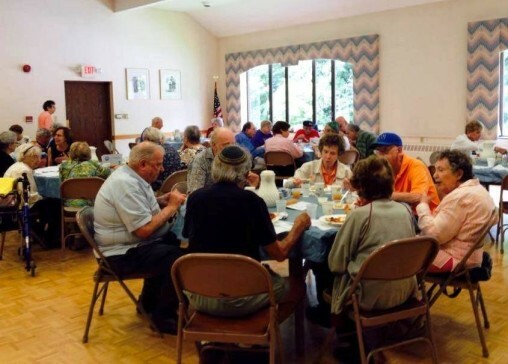 Kosher meals, prepared fresh and hot, are offered every Monday, Tuesday and Thursday at noon in the social hall at Congregation Knesset Israel, 16 Colt Road, Pittsfield. During the summer, days of service are Monday and Thursday. On Mondays and Thursdays seniors can enjoy additional educational, cultural and health related programming at 10:45 preceding the lunch. Visit the community Calendar for a full list of programs. Reservations: Reservations for lunch are required and can be made by calling (413) 442-2200 prior to 9 a.m. on the day you would like to attend. When making a reservation please inform us if a person in your party has a food allergy. Cost: There is a $2 suggested donation to attend both the lunch and program. Community members age 60 or under are welcome to attend at the cost of $7. Programs free and open to the entire community, regardless of age. Kosher Meals on Wheels delivery to the homebound: Federation volunteers also deliver our kosher meals to homebound seniors throughout Berkshire County. If you or someone you know could benefit from a Kosher Meals on Wheels please contact the Federation’s social worker at (413) 442-4360, ext. 17. The Kosher Lunch program is supported by the Jewish Federation of the Berkshires in conjunction with Elder Services of Berkshire County. This program is open to the public.